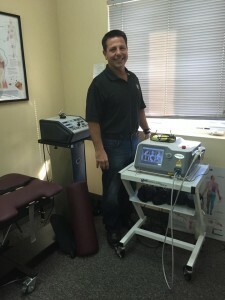 Dr. Marc Bloom of Revere, Pa adds a 30 Watt Class 4 Diowave laser to his treatment tools! Congratulations and the best of luck to you and your patients!! 30 Watt High Power Laser! D r. William Scalise and Ken Johnson add a 30 Watt High Power Laser! It will be a nice addition to decompression therapy since they can apply both treatments at once! The most effective pairing on patient analgesia available! https://bryanne.com/wp-content/uploads/2014/04/bryanne-logo.png 0 0 Lori Klink https://bryanne.com/wp-content/uploads/2014/04/bryanne-logo.png Lori Klink2015-11-20 19:32:002015-11-20 19:33:2030 Watt High Power Laser! 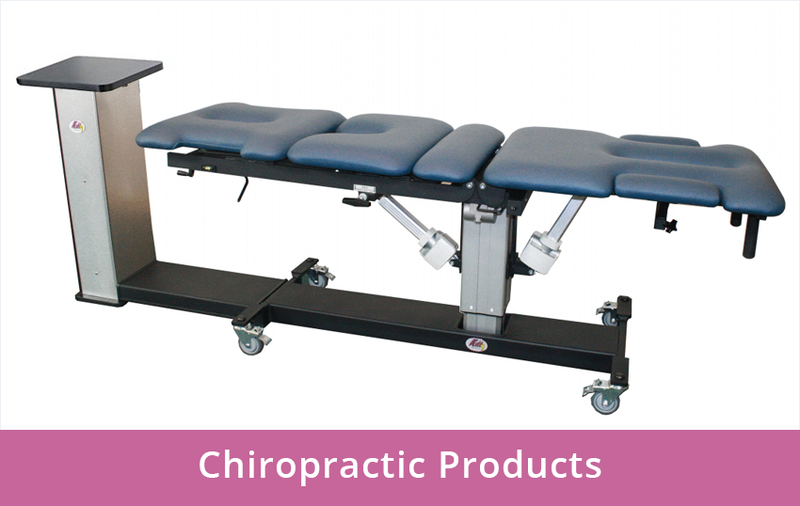 Dr. Dan Schatzberg of Media adds a new Chatt 4Ch Combo Unit to his treatment tools! Congrats! https://bryanne.com/wp-content/uploads/2014/04/bryanne-logo.png 0 0 Lori Klink https://bryanne.com/wp-content/uploads/2014/04/bryanne-logo.png Lori Klink2015-11-16 17:25:232015-11-16 17:25:23Dr. Dan Schatzberg of Media adds a new Chatt 4Ch Combo Unit to his treatment tools! Congrats! The patient presented suffering with several month’s of left knee pain with marked edema. The patient reported that she had to negotiate the stairs in her home on hands and knees. The patient’s orthopedic surgeon gave the patient medications and indicated that surgery may be necessary. X-rays revealed near total obliteration of medial joint-space. 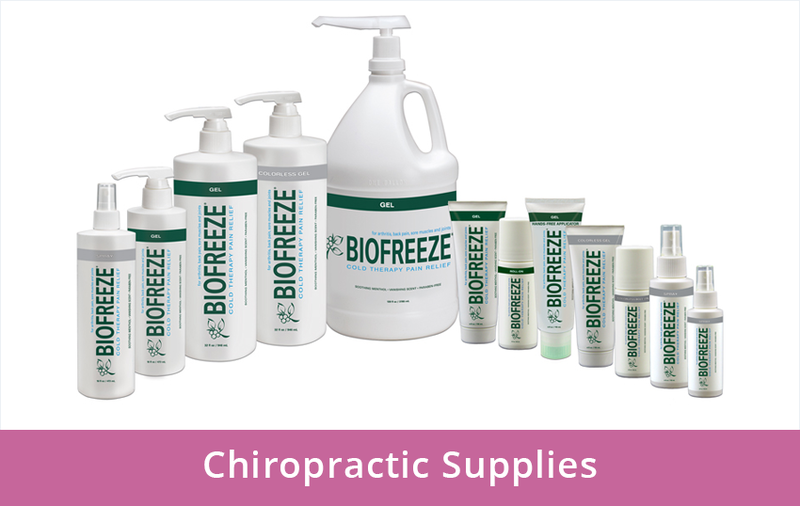 Ice, liniment, and rest failed to bring the patient any noticeable relief. She had also been taking glucosamine for years with out benefit. Patient had been on and intense multi-modal adjustment program. TREATMENT: The patient was started on an intensive electrotherapy regime including clinical protocol for pain and edema. Patient was treated using the Premodulated Waveform for Chronic Knee twice a day, daily for two weeks with a 2 channel 4 pad application for 25 minutes each session. 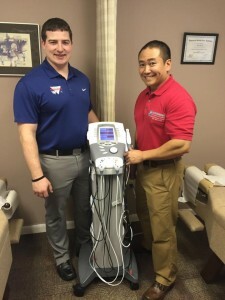 Ultrasound was applied for 8 minutes then cryotherapy was applied. RESULT: After 3 weeks the patient was smiling, happy and ambulatory. Follow-up included 6 weeks of active care utilizing Synergy Rehab. Patient reports that she is almost as good as new! My patient presented with an extremely swollen right arm due to an injury he sustained. Using a 4 channel combo unit, Dr. Wohar selected the circulatory protocol for the arm from the built-in Clinical Protocols. Treatment was given for one week with the twin-peak hi-volt set according to protocol and the result was a “miracle”. 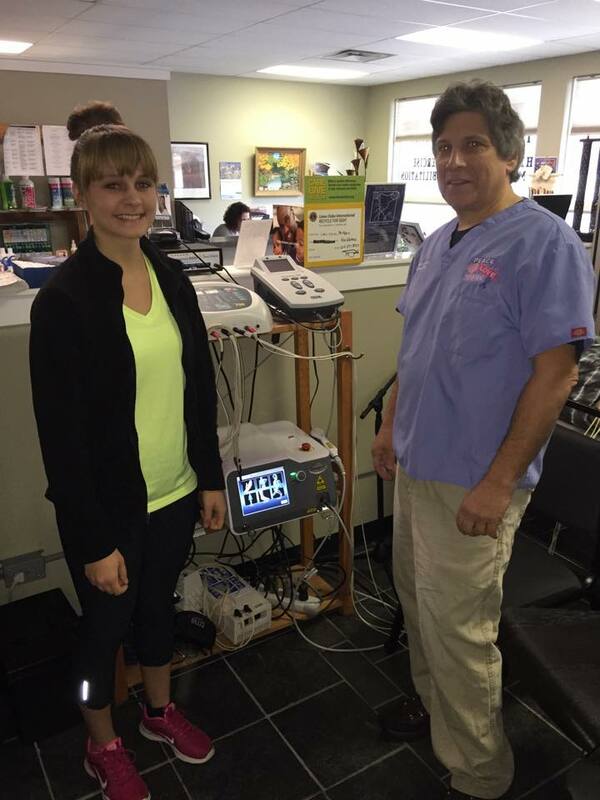 Thanks Dr. Wohar for sharing this great example of electro-therapy THAT WORKS !